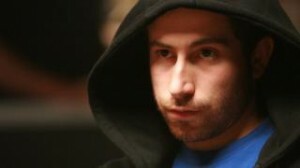 The most prestigious tournament in poker has added another name to its list of champions. Late Monday night Jonathan Duhamel was able to eliminate his final competitor, John Racener, to win the 2010 World Series of Poker Main Event Championship. This entry was posted on Tuesday, November 9th, 2010 at 10:41 am and is filed under Poker News. You can follow any responses to this entry through the RSS 2.0 feed. You can leave a response, or trackback from your own site.